For the 3rd year in a row I took my nieces, Peyton and Ella, to Portrait Simple for pictures with a baby bunny. Our bunny this year was Cupcake and he/she was not very cooperative! We didn't have too many pictures to choose from with the bunny but we managed to get one! If you want to see our bunny pictures from 2012 go here and to see 2011 go here. 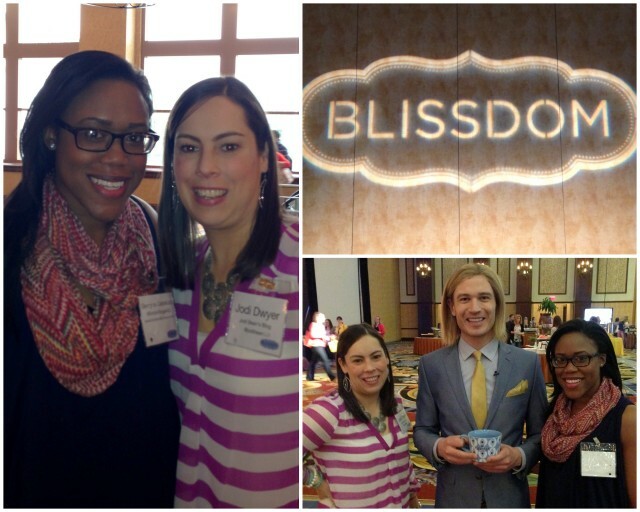 I hope you are enjoying my BlissDom recap posts. Do you feel like you were there? I hope you can sense how much fun it was! Make sure you read about Day 1 and Day 2 prior to reading this post! Saturday morning was another early start. I know you can't tell by how stunning Georgina and I look but we were exhausted! Thankfully Gevalia was there with breakfast and coffee! Oh and the handsome Johan was there too. He was so nice and has a beautiful sounding Swedish accent! 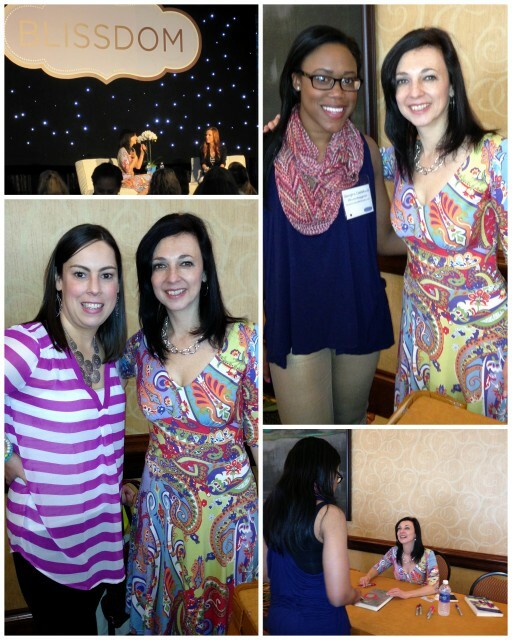 The Saturday morning keynote was with Susan Cain. She is the author of Quiet: The Power of Introverts in a World That Can't Stop Talking and she talked about the differences between introverts and extroverts and how the world needs both. Susan was educated at Princeton University and Harvard Law School. She then worked as a corporate lawyer for many years representing some very big clients. But would you believe she is an introvert?! Want to find out if you are an introvert or an extrovert? Take Susan's quiz here. I took it and results say that I am a "moderate introvert." Leave a comment and tell me what the results say about you! Oh and Susan says, "Introversion is the new black!" Love it! Georgina bought Susan's book and really enjoyed talking to her afterwards. She was really nice and took time to talk to everyone and answer questions! On Saturday we had two workshops we could attend. 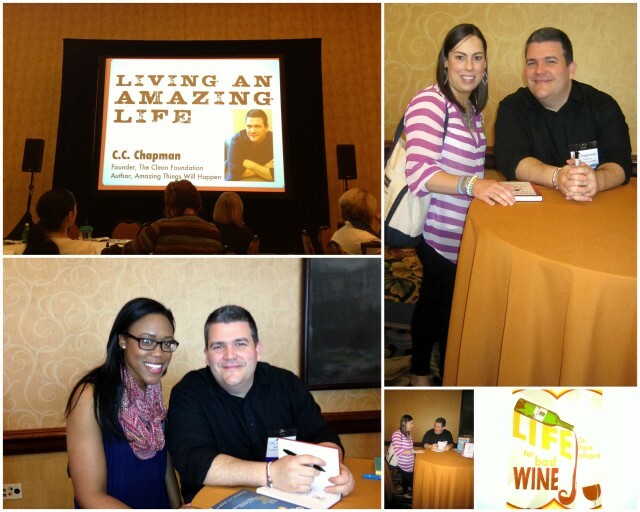 I again went to the Life Development workshop which was with CC Chapman and titled "Live An Amazing Life." With a title like that how could I not go?! My favorite part of CC's workshop. . . he said, "Life is too short for bad wine." My second favorite part of his message, "Always give back. Whatever level of success you find, give back to the community. Part of an amazing life is giving back and working with groups you care about." I couldn't agree more. Anyone who knows me knows how important volunteering is to me. It always has been. - He gave us a free copy of his book, Amazing Things Will Happen. He signed it too! - He followed me on Twitter and responded to one of my tweets! - He lives in Milford, MA which just so happens to be the town next to where I grew up and where my father was a teacher for 35 years. Small world! I can't wait to read his book! Maybe when I finally finish my BlissDom recap posts I'll have some time for reading. After the workshop we had a break for lunch. One2One provided us all with a $25 giftcard to eat at one of the hotel restaurants. We went to the Italian restaurant, Zeppole. Unfortunately the restaurant was not staffed to handle the hundreds of people who wanted to eat lunch. It was a 45 minute wait. Fortunately our new friends, Ashley, Neely, Whitney, Heather, Stephanie and Amber had room at their table and invited us to join them! The food and company was really good. While at lunch I noticed the Meghan was sitting at a nearby table. I had been dying to meet her all weekend since I've been following her blog for years and really admire her (if you know her story you understand why). I didn't want to interrupt while she was eating so I waited until the end. My friends left (to get to the last session which I was skipping) and Meghan was also alone at her table. I went over and introduced myself and we walked toward our rooms together. It was so nice to chat with her. I only wish I had though to take a picture! I skipped the last session b/c I was feeling really tired and just wanted some time to organize my stuff. One of the sponsors, Extra Space Storage, generously offered to ship 15 pounds of stuff home for us. Thank God!!!! I had so much swag and didn't know how I was going to fit it all in my suitcase. I packed up a bunch of stuff and brought it to them to ship. It is now waiting for me at my parent's house! 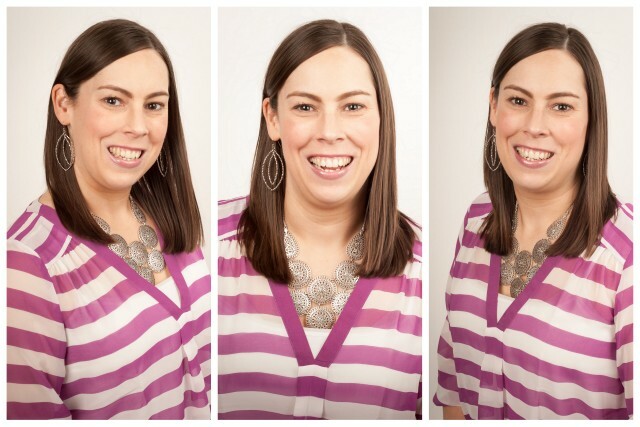 I also decided to pop into the One2One suite to see if I could grab another set of head shots. There was nobody there so I did! Again when it was time for the "do something fun" shot I didn't know what to do and just laughed with embarrassment (see middle photo). I guess that is the introvert in me! Ha! And then. . . just like that. . . it was time for the closing keynote with Jon Acuff. Since I had already heard him speak once this weekend I expected it to be great and it was! Jon is funny. Very funny. Oh and he was wearing a spanx top under his dress shirt (but don't tell him I told you). I loved his closing. He had so many great messages that have stayed with me. I keep thinking about some of the things he said. . .
"What do you do when all the excuses are gone?" "The starting line is the only line you can control." "You have permission to be horrible." "Fear fears community. Fear fears bloggers." "1 Insult + 1000 Compliments = 1 Insult"
Jon is generous. He surprised us with a "BlissDom Exclusive" advanced copy of his book Start. It comes out in a month but we get to read it first!!!!! Oh and guess what - next week I'll be giving away a copy to one of you!!!! I can't wait to read this book. I can't wait to read all three books I got at BlissDom. I need to get busy! Don't worry - BlissDom wasn't over yet. We still had Girls' Night In!!! 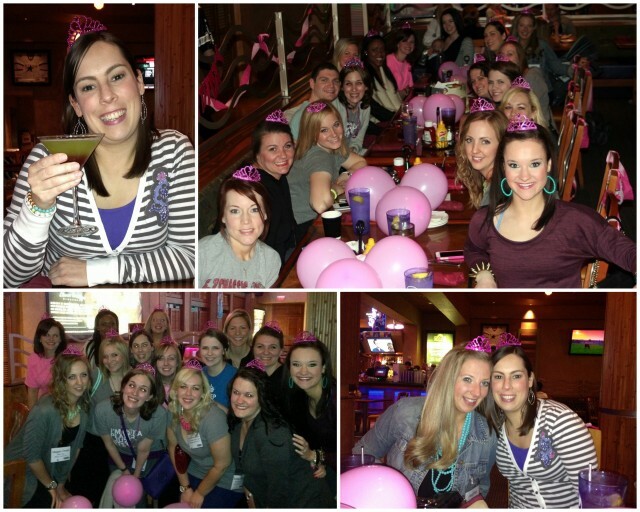 During our dinner break we got together with some of the girls to celebrate Neely's birthday a little early. We had drinks and cake - good combo! We got to watch a special screening of the show Suburgatory. Guess who was there from the show? 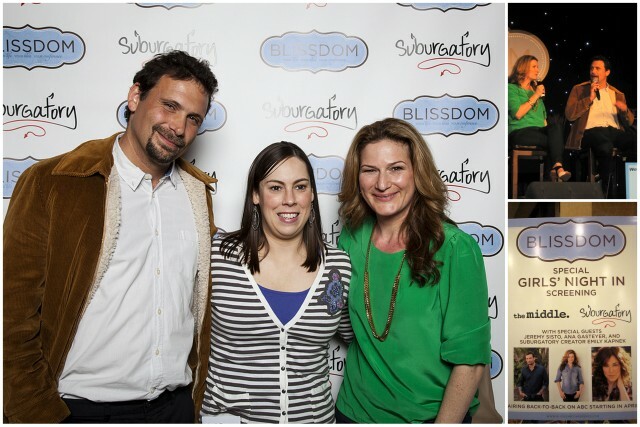 Jeremy Sisto (from Clueless and Law and Order and he's a hottie) and Ana Gasteyer (from SNL)!!! They were both hilarious! I loved when Jeremy said, "I love you guys. This is the best conference I've ever been to." When asked if he has been to many conferences he told us BlissDom was his first. Ha! He was such a good sport when asked to do "rolling with my hoomies." If you don't understand that reference then you clearly have not seen the movie Clueless enough! After they left it was time for karaoke. Oh and did I mention this is a pj party! I didn't wear my pj's but we all dressed in comfy clothes! I didn't do karaoke either. But Meg O did and she was awesome! It was a lot of fun. Before we need it the clock hit midnight and it.was.over. Over!? Just like that! We said our goodbyes to all of our new friends and made our way back to our room. I would like to say THANK YOU to these two amazing women, the co-founders of BlissDom, Alli Worthington and Barbara Jones. 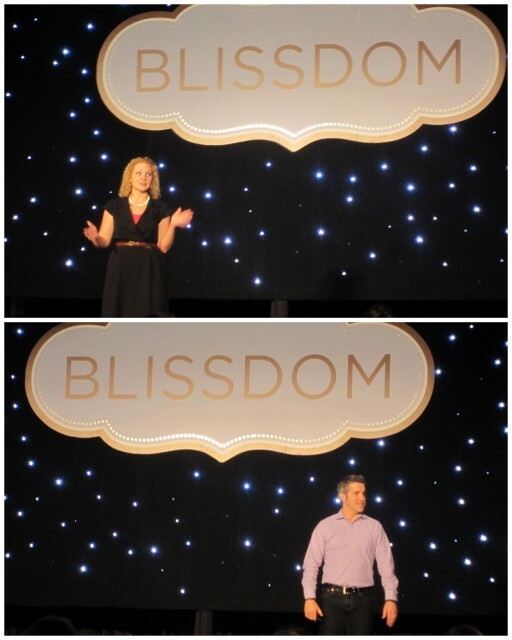 What an awesome idea they had to create a blogging conference and call it BlissDom. I can honestly say they are both intelligent, genuine and really care about all of us! They were so nice to take the time to chat with us on the last day of the conference. 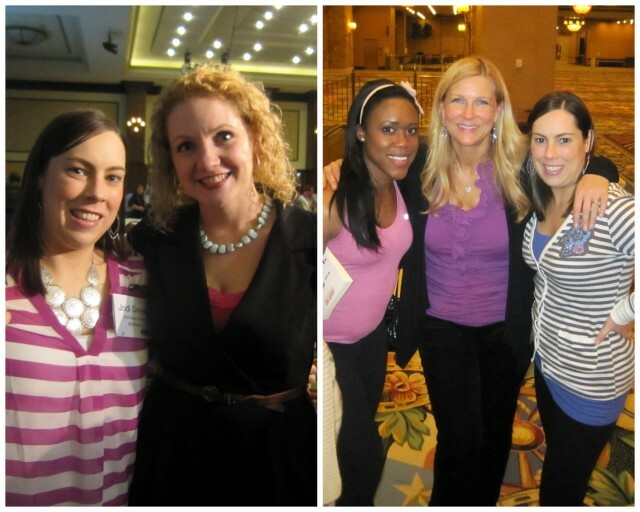 So can you tell I had an awesome time at BlissDom 2013!? It was an amazing experience. Not because I learned a ton of new stuff. But because I felt inspired. Because I felt connected. Because I felt understood. 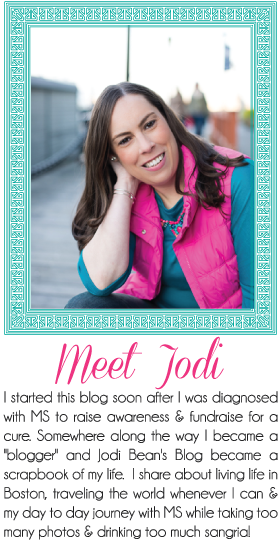 This community of women, of bloggers they "get" me. They get why I need to take over 100 photos in 3 days and why I need to document every little detail on my blog. They just get it. I am so glad I went. I am so glad Georgina agreed to go with me and be my roommate. I never would have gone alone so I'm glad she accepted my twitter invitation on the last day of early bird registration! She has become such a good friend and I'm so happy that blogging brought us together. We stayed up until 1:30 AM on our last night in Texas. 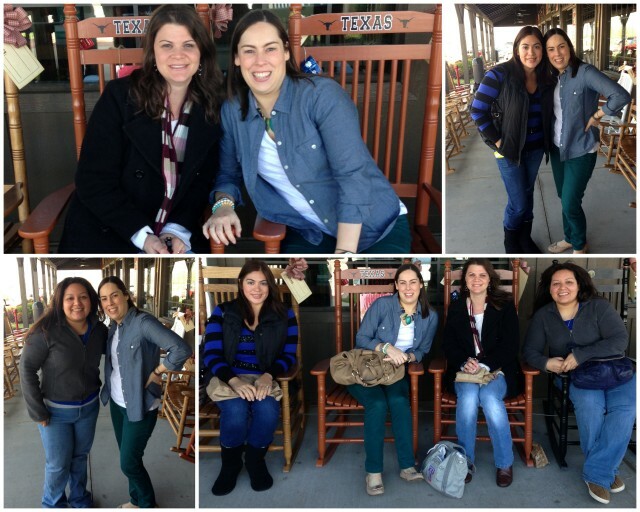 We were exhausted but we couldn't stop talking about the experience of BlissDom! 1. Bring a bigger suitcase and check it. This year I just brought a carry on size suitcase b/c I didn't want to check anything. Too much free swag for that kind of thinking! 2. Take Monday off from work. Wow I know I've said it like 100 times but I was so exhausted this whole week. It would have been really nice to have Monday to sleep in and blog! On Sunday morning before I left I saw my Texas friends one more time. Rachel came and picked me up at the hotel (Georgina had already left - she has an early flight). We went to Cracker Barrel. Monica and Lynn came too. Lynn and I finally got to meet in person after talking on twitter for a really long time. I must say that you know you have good friends when they will get up early on a Sunday morning to have breakfast with you! Thanks ladies. Also thanks to Lynn for driving me to the airport (Rachel had to get to church). My first time in Dallas was a great time. Hope to be back again soon and to actually see some of the city!!! P.S. Please excuse any typos. I didn't proof read. These recap posts took a LONG time to write!